Fun and friendly staff! I always feel welcomed when I walk in. If you need your teeth cleaned, need a filling or any type of dental work, I highly recommend this place. Ask for Dr. Poneh Ghasri. Your smile plays an important role in your ability to communicate with you peers, your coworkers, your family and your partner. Without even saying a word, you can project confidence, joy and vibrancy. It can better project your unique personality. If your smile has been damaged by decay, periodontal disease, missing teeth, worn enamel or stains, our West Hollywood cosmetic dentist can help you get it back on track. We have a team of general dentists, dental specialists and dental professionals who collaborate on every aspect of your care and treatment to ensure that your smile is well-maintained every step of the way. We understand that our patients are busy, which is why we offer flexible office hours and emergency care after-hours when necessary. We also accept a variety of payment options, including most dental plans and interest-free financing for those who qualify. Your dental treatment plan will be carefully coordinated to ensure that the most appropriate treatments are recommended. After examining your smile and learning about your smile goals, we will explore each of your options thoroughly and answer any of your questions. 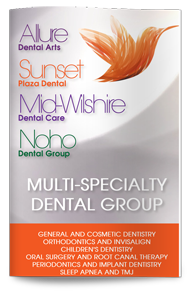 Give us a call today to schedule your next appointment with our West Hollywood Aetna PPO dental insurance provider.